The 19th annual Lincoln Highway Association conference will take place June 20–24 at Stateline, Nevada, on the south shore of Lake Tahoe. 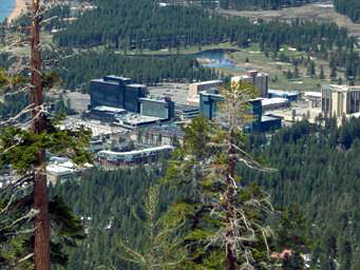 The host hotel is Harrah’s Lake Tahoe (along with with Harvey’s), where you will register for the conference, browse the book room, enjoy the Opening Night Banquet, attend the Thursday program lectures, and celebrate the end of a great conference with Friday’s Continental Breakfast Buffet. Paul Gilger, conference committee co-chair, sent a report from a planning meeting held Saturday at Harrah’s. 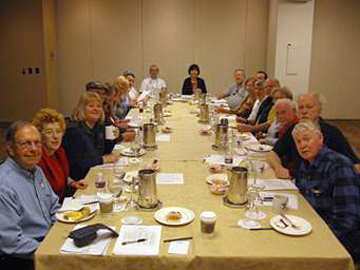 Among the 20 committee members attending from Nevada and California were Jim and Lani Bonar at head of table, Bob Dieterich to Lani’s left, Geno Oliver 3rd from right, Bob Chase front left, with Paul taking the photo. 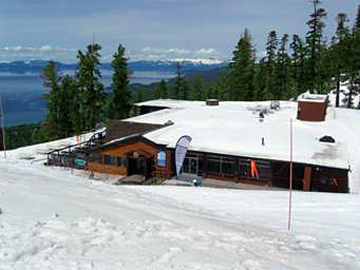 The group took a tram up Heavenly Mountain to visit Lakeview Lodge, site of the awards banquet. Paul took a telephoto shot of the conference hotels: Harveys at left, Harrah’s behind tree at right, and the Lincoln Highway between them. 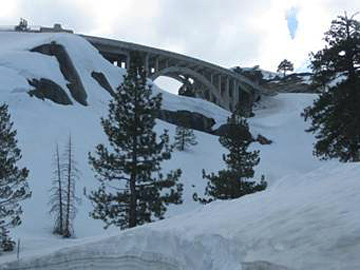 And then a shot of the Rainbow Bridge at Donner Pass. This entry was posted on April 20, 2011 at 3:46 pm and is filed under highways, history, Lincoln Highway, lodging, Road trip, transportation, travel. You can follow any responses to this entry through the RSS 2.0 feed. You can leave a response, or trackback from your own site.